Abba’s two leading men made a surprise appearance as hit musical Mamma Mia! celebrated its 20th anniversary in London’s West End. Huge applause welcomed Benny Andersson and Bjorn Ulvaeus onto the stage as the show ended at the Novello Theatre. 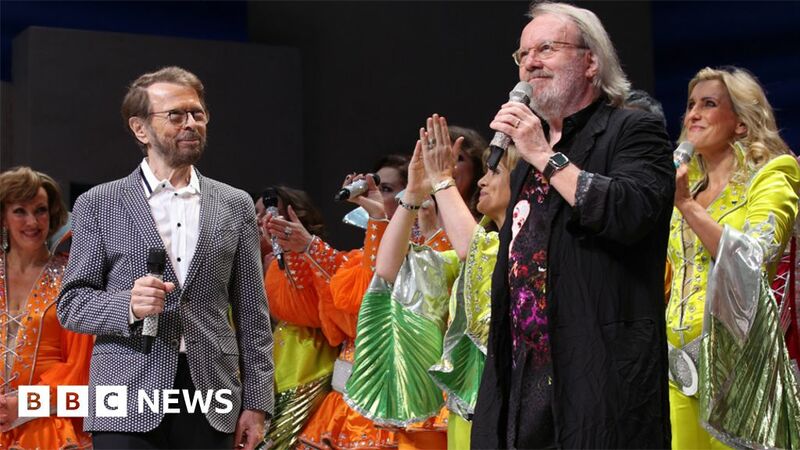 Ulvaeus told the crowd it felt “both strange and wonderful” to be there. The pair, one half of the 1970s Swedish pop group, wrote the music and lyrics to the stage show, which has been seen by 65 million people across the globe. They have appeared at previous anniversary performances and this time were joined at the Novello Theatre by producer Judy Craymer, director Phyllida Lloyd and writer Catherine Johnson, who Ulvaeus described as “three angels”. Celebratory confetti rained down on the theatregoers during a medley of Abba classics including Dancing Queen and Waterloo. Speaking backstage, Andersson said it had been “too long” since he had seen the show and that the experience moved him. “There is a chance to be immersed, to get moved and I was tonight and I’m happy that I can feel that,” he said. The feel-good tale, centred on a mother, a daughter and three possible fathers on an idyllic Greek island, unfolds to Abba’s timeless pop masterpieces. More than nine million people have seen the stage show at three separate venues in London. Globally, some 50 productions have seen it translated into 16 different languages and grossed more than $ 4bn (£3bn). The musical was turned into a film in 2008, and its stars Meryl Streep, Amanda Seyfried, Pierce Brosnan and Colin Firth reunited for a sequel, Mamma Mia! Here We Go Again, last year. Abba – Andersson, Ulvaeus, Agnetha Faltskog and Anni-Frid Lyngstad – notched up 26 UK Top 40 hits, including nine that topped the charts. They sold almost 400 million singles and albums around the world after winning Eurovision with Waterloo in 1974. Last year, they announced they had recorded their first music in 35 years, which recent reports suggested would be released later this year. Were you at the Novello Theatre? Did you witness the surprise appearance? Email haveyoursay@bbc.co.uk with your experience. ← How can celebrities walk the social media tightrope?